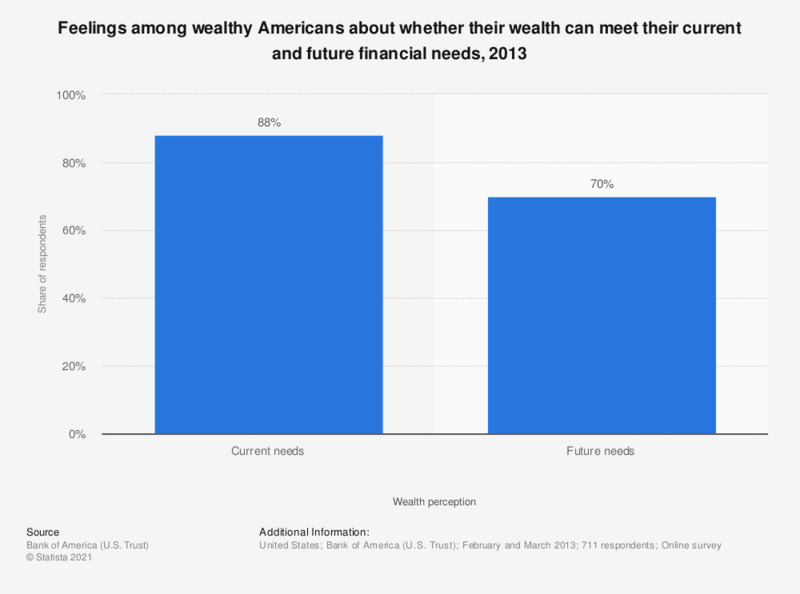 The statistic shows the feelings among wealthy Americans about whether they feel their wealth can meet their future and current financial needs. In 2013, 88 percent stated that they believe that current needs can be met by their financial situation, however, this dropped to 70 percent when asked about their future needs. The 711 people interviewed for this nationwide survey were high net worth or ultra high net worth individuals.